The aim of this project is to make available interesting and varied organs for Hauptwerk. 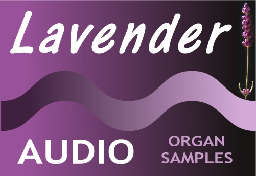 Where possible, sample sets (or parts thereof) will be made available on either a Shareware or Evaluation basis, with fully functioning evaluation versions of sample sets available as a free download so that the end user may try the organ before making any financial commitment. Various organs are available - please click on the Organs link above for full details. This range will continue to be increased in the future. A significant proportion of any money raised will be passed to the churches involved - there are also expenses to cover and investment in future sampling projects to be considered. Special thanks are due to Brett Milan and to Martin Dyde for agreeing to host the download organ files on the Hauptwerk web site and also for their advice, assistance and enthusiasm during the preparation of these sets. Thank you for taking the time to look around this web site - I hope you find something that is of interest.